Mohandas Karamchand Gandhi who well known as Mahatma Gandhi was born on 2 October 1869 and died on 30 January 1948 in New Delhi at the age of 78. Gandhiji lived his whole life for Nation, was the preeminent leader of the Indian independence movement in British-ruled India. 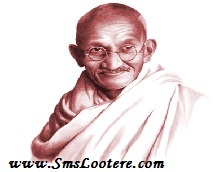 Gandhi led India to independence and inspired movements for civil rights and freedom across the world. 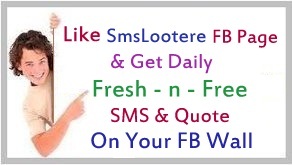 He succeed in what he wants to do, here SmsLootere.com team has collected Mahatma Gandhiji quotes about life, must read and share with your circle.